Three times is enemy action, but we’re not there yet. 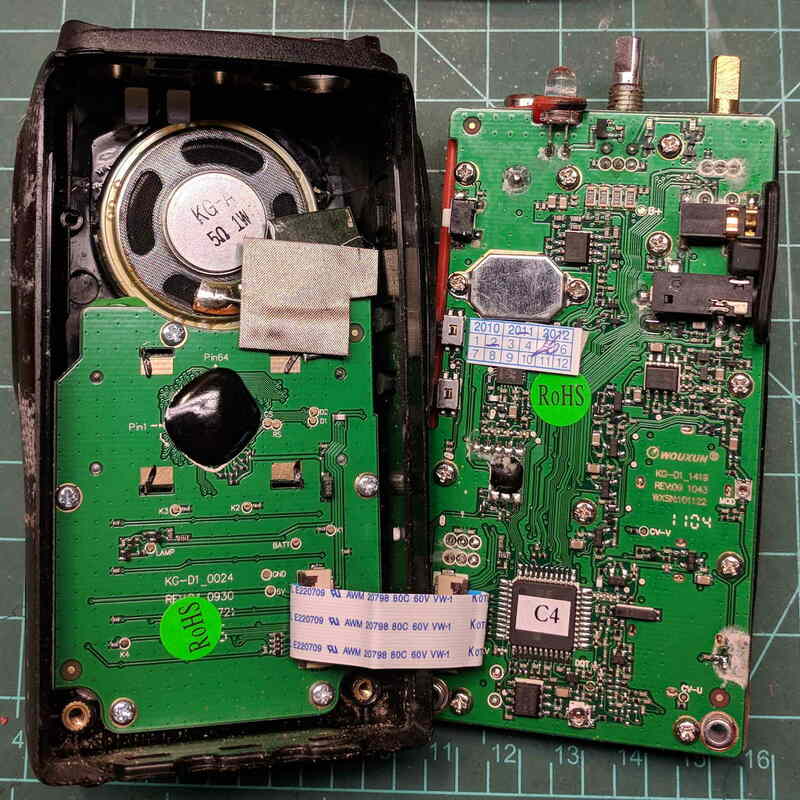 I was willing to believe something I’d done had killed both of the radios, even though it seemed unlikely for them to last five years and fail almost simultaneously. 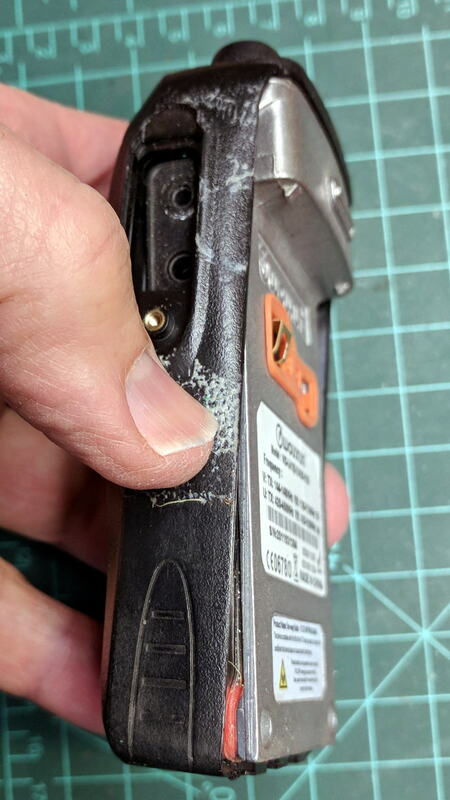 Although it’s been riding around on my bike, the white blotches on the PCB came from inadequate flux removal after hand soldering. I swabbed off the crud with denatured alcohol to no avail. 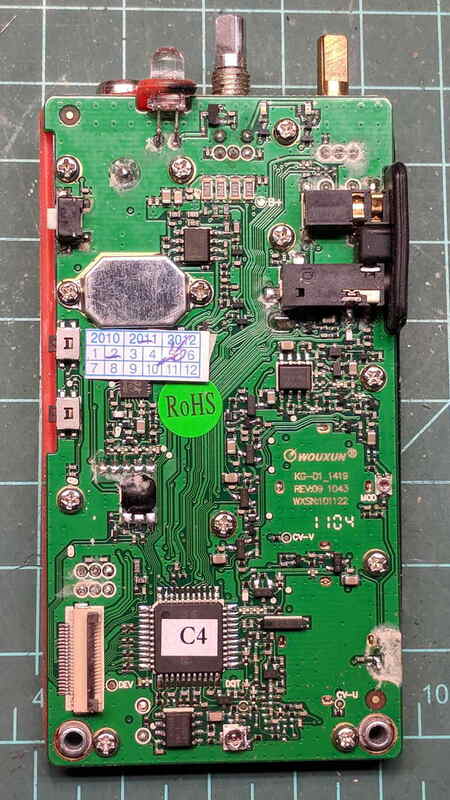 The bottom side of the PCB has even more components and, I’m sure, even more crud, but I didn’t bother removing all the screws required to expose it, nor did I dismantle the other failed HT. 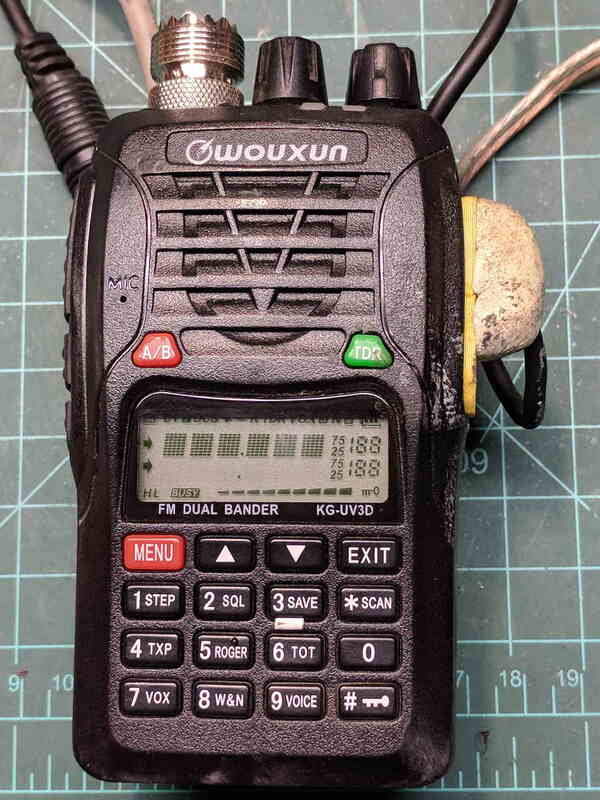 I doubt Wouxun’s QC improved over the last few years, which means the two replacement KG-UV3D radios I just bought are already on their last legs, despite my paying top dollar to the same reputable source that sold me the first pair. We’ll be ready for new radios on new bikes by the time these fail.